What are Norwood Inman Aligners? 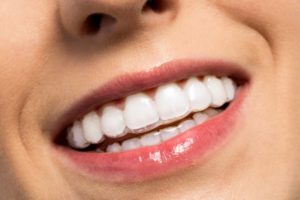 A form of invisible braces, Norwood Inman Aligners provide a unique way of correcting the various bite issues that can arise with teeth. The custom-made trays consist of a front, clear-plastic aligner that fits your teeth comfortably and adjusts as the treatment progresses. Two of this process’s unique features are the custom bow housed inside the aligners and metal clasps on the back that work together to apply the necessary amount of tension. Once fitted, patients will go in every two-to-three weeks for the dentist to examine their clear braces and to make any necessary adjustments. A Discreet Look – There is a level of discretion that wearing clear braces affords you. Whether an adult or teenager, nobody wants to alert the world that he or she is wearing braces. Time Saved – Are you worried about a lengthy treatment process? You won’t have to with Inman Aligners. Instead of using a gradual method of applying tension in different areas, your clear braces will move your teeth faster because the tension will be dispersed evenly to all of your teeth. Thus, you can have a perfect smile in as little as six months! Functionality – One of the other great benefits of clear braces is that you can remove them throughout the day to eat, then brush and floss your teeth. As long as your wear your aligners between 16 and 20 hours a day, you’ll stay on track with your treatment schedule. Comfort – One of the disadvantages of being fitted with metal braces is that you’ll have to deal with wires irritating your cheeks. You can also expect uncomfortable adjustments, as your dentist tightens your wire every four-to-six weeks. These problems are none-existent with the invisible braces option. To find out more about the Inman Aligners process, reach out to your dentist so that you and your family can be fitted this summer. When Should You Get Clear Braces? The summer is the best time to get clear braces, especially if you have children. With this route you won’t have to worry about them having to miss school. Better yet, you’ll still have time for them to go in for a few follow-up visits before the new school year starts. For adults, the summer months are the best time to be fitted with clear braces as well. Thus, by the time the holiday season comes around, they’ll be fully equipped with a beautiful new smile and ready to socialize! To schedule a consultation and get on the path to smile perfection, reach out to your dentist today! A graduate of the Ohio State University Dental School, Dr. John T. Michaels has been practicing dentistry for decades. In his postgraduate capacity, he has taken over 1000 hours of continuing education in some of the more advanced methods in dentistry, which allows him to provide his patients with the best care at Norwood Dental Care. Dr. Michaels can be reached for more information through his website.